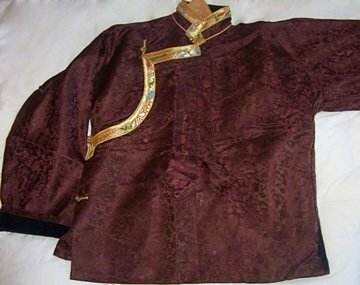 This jacket is cut with the side cut common in Tibetan clothing. 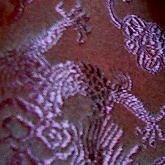 It is made of pure Shanghai silk with a dragon pattern, brown. The lining is 100% cotton velvet lining. 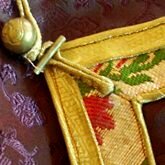 It has handmade Tibetan brocade collars and old-style brass buttons which are handpressed one by one by silverworkers. It was tailored in Lhagang town by Changming. Men’s medium. Women’s large.